Since the 1870s, telephone has been invented and continuously progressing tremendously ever since. Now it is almost a necessity to own incredible smart phones such as the iPhone and Samsung Galaxy SIII. With the public investing on the use of smartphones, many interesting phone accessories have surfaced. One of it is the phone dock. It will make a great promotional product! From a phone stand, it has evolved to a functional phone dock alongside with other uses such as a speaker or clock etc. ODM Group has done a research on the different phone docks available on the market, and we have some interesting ones to show you! Amazingly and impressively, this metallic goose neck is able to handle an iPhone’s weight so elegantly! 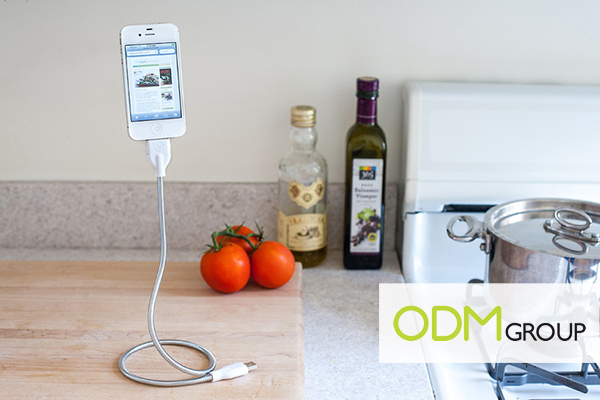 As seen, this suspending phone dock functions as a charging cable as well! How about these retro gramophones? 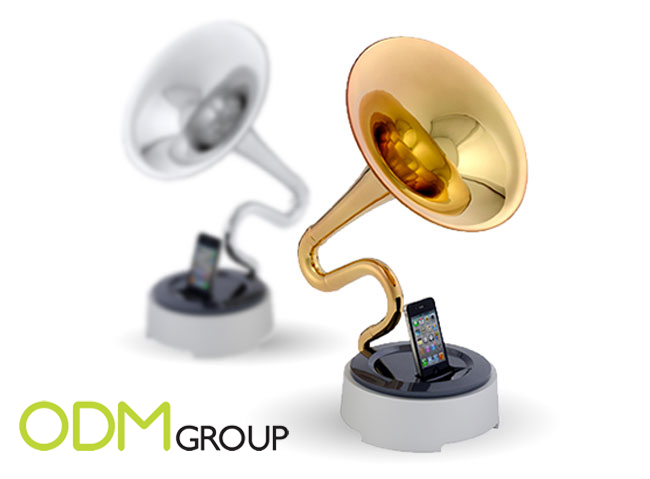 Simply dock your phone onto it, press play and enjoy loud blasting of music in your entire room! 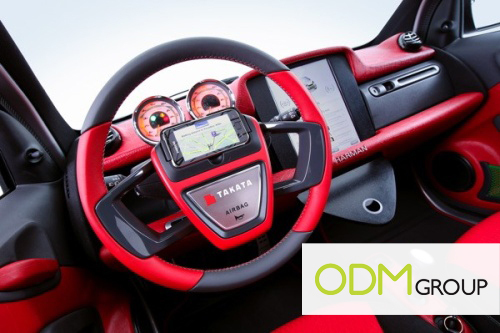 Dock your phone onto the steering wheel and have better GPS (Global Positioning System) navigation! There is no need for constant turning of your head to look at the GPS that is attached onto an awkward corner of your window! One IT (information technology) gadget is never enough. 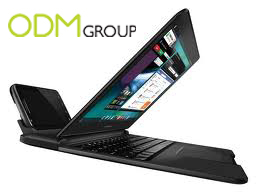 With a laptop, now we have a dock that keeps both your laptop and phone together! There is no need for constant juggling between both! How about a mini version of a tablet phone dock instead? Works as well and functional as the laptop phone dock! With innovation, there’s always progress and improvement! 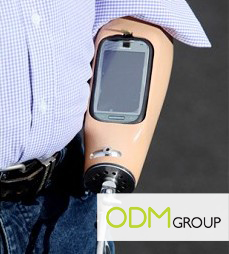 Take a look at this prosthetic arm phone dock! It would definitely do the disabled a big favour in their daily lives! With so many insanely creative phone docks, any of these could be the perfect promotional product for your organization! Just squeeze some creative juices and design your very own functional phone dock for your company!